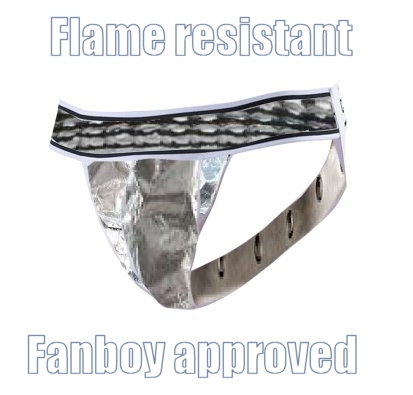 Flameproof jockstrap activated: While a lot of fanboys have been clamoring around the Wii U like a wounded puppy, waiting to pounce like a jackal from the shadows, they have missed out on one very important facet of this supposedly underpowered console: Not counting indie titles, it has more native 1080p 60fps games than the Xbox One or PS4. I'm not even going to waste time leading you around by the nose (though for pageview purposes and time spent on the page metrics, I'm sure everyone at CB would prefer that) but I'm just going to throw down the numbers like an American politician throwing up their hands and taking money not to do their job. The Wii U has confirmed games to run native 1920x1080p at 60 frames per second: Super Smash Bros. U, Bayonetta 2, Mario Kart 8 and Rayman Legends. Super Smash Bros. U was confirmed to run at 1080p, as noted on My Nintendo News. Mario Kart 8 was confirmed to run on the Wii U without a hitch at 60 frames per second when it was unveiled at E3. Bayonetta 2 was labeled 1080p at 60fps via Siliconera, and even if we want to count HD remakes for next-gen such as Wind Waker HD, Digital Trends made it known that the game is 1080p at 60fps. There's also Rayman Legends, once a Wii U exclusive, that also runs 1080p at 60fps, as noted by Digital Foundry. So we have about six next-gen games running 1080p at 60fps for the Wii U if you include Monster Hunter 3 Ultimate; even if you want to knock off Wind Waker HD as a remake and a game that's not a real next-gen title, that's fine. We still have a nice cache of games on the Wii U that are native 1080p to prove its case. On the other side of the coin, we look at a list of games running 1080p and/or 60fps for the Xbox One and PS4 and things slim down drastically, almost to the point of non-existence. The list comes courtesy of Neogaf members who were discussing the PS4 versus Xbox One's 1080p and 60fps offerings, as noted on Dualshockers. Now there's also Warframe and DC Universe Online that are also 1080p at 60fps, but neither of those are native next-gen games; they're ports. That would be the equivalent of looking through the Wii U's eShop and naming all the native 1080p 60fps indie games and Wii ports, and by comparison the Wii U would wipe the floor with the competition in that regard. But look at that list for the PlayStation 4... while I love what Sony is doing with the console, we can see that Killzone isn't native 60fps, but only 60fps in multiplayer with tons of downscaling of the graphics and visual effects. We also have DriveClub which may or may not be native 60fps, as it seems as if it's a bit of a toss-up. There's also Flower, but again, if we're counting Flower then we may as well leave Wind Waker HD on the list. That means we have three-and-half games on the PS4 side running 1080p at 60fps. You may as well scratch Call of Duty: Ghosts off that list because it's also going to be 60fps on the Wii U and PS4. That just leaves us with Killer Instinct and Forza Motorsport 5, granted only one of those games is a next-generation title at native 1080p and 60fps. So what does that leave us with? It leaves us with the Wii U being more next-gen than its supposed bigger, badder, next-gen competitors. I'm guessing it's looking real salty over in the Sony and Microsoft fanboy camps. This is especially embarrassing for the Xbox One, because it's supposed to be an American muscle car of a gaming console, and it's getting out next-genned by the Wii U. It's like a 1970 Dodge Charger getting out-classed on the track by a tuned-up Honda Civic. Embarrassing.